In an article on Wistia.com (“where business smarts meets video smarts”), their staffers Chris and Dan discuss some points on choosing music for your video. focusing on what considerations go into actually choosing that perfect background score. The article starts out in a discussion of feelings, i.e., considering the right emotion to evoke for a given scene. Warm and fuzzy? Blistering excitement? Picking the right score depends largely on the emotion to be invoked. 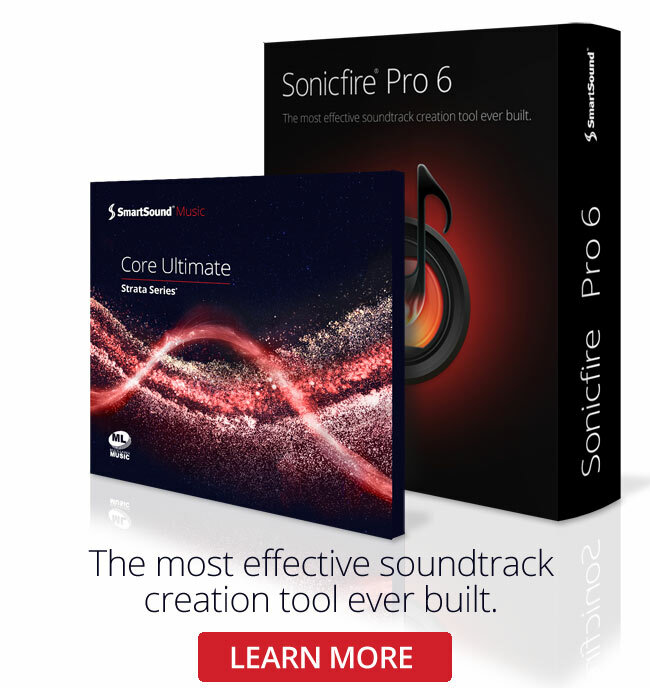 Of course, our award-winning, SonicFire software makes it easy to pick from SmartSound’s thousands of royalty-free tracks and adjust the arrangement or variation to suit the mood you need. Chris and Dan then go on to point out (correctly) that song format rarely fits perfectly with the tempo needed in video format. They recommend looping a clip from the track being used, but we have a better idea - SmartSound users can easily fit the track to fit the scene length, again using our patented technology. Most of the time producers will want to make sure the audio tempo matches scene transitions perfectly, after all. The article closes with a great discussion about keeping background music in the background - which we could not agree with more. Take a look and see what you think - then head to SmartSound.com to put the theory into practice! With the right tools and the right knowledge, making the best royalty free music choice for any scene is easy. SmartSound provides all the tools you need to do it right.